Towards the end of the football season, speculation regarding players’ and managers’ movement inevitably starts to grow. Although the summer transfer window doesn’t officially open until May in England, clubs often announce their signings before then, so gamblers looking to bet on potential transfers should stay alert throughout the latter stages of the season if they want to secure a good deal - something they can easily do with the Transfer Hound. Thanks in particular to the internet and social media, the number of rumours surrounding potential deals each year has exploded, and transfer specials have consequently become some of the most popular football betting markets on offer. While these markets can provide a fun break from your usual football betting strategy, it is important not to get lured in by the tabloids' transfer headlines, given the gossiping media’s love for hearsay. The key to success in the 'transfer specials' markets, as with most types of sports betting, is knowledge. Read as much as you can – be it newspapers, football websites or official club pages. Rumours will fly around, so do your research into which of the stories could have an element of truth - one of the best resources for this is actually the player's personal Twitter account. When considering a rumour, read up on the history of the player or manager in question, their agent, and the clubs involved in the story. Does he really want to move, or is his agent just trying to push his club into offering a new contract, as was the case with Wayne Rooney in 2010? Agents have a habit of creating hype around their player so be careful not to get sucked in without doing your homework. Timing is also an important factor in successful transfer betting. As a deal nears completion, odds will shorten significantly. It's therefore a good idea to look around at different bookmakers to keep an eye on which transfers are being offered, and any promising shift in prices. A player’s performance will also often lead to an increase in speculation. For example, rumours surrounding Borussia Dortmund star Robert Lewandowski were rife for many years before the 2012-13 season, but the striker always ended up staying put. Then, following his incredible performance during his team’s demolition of Real Madrid, the media pounced on the story once more. 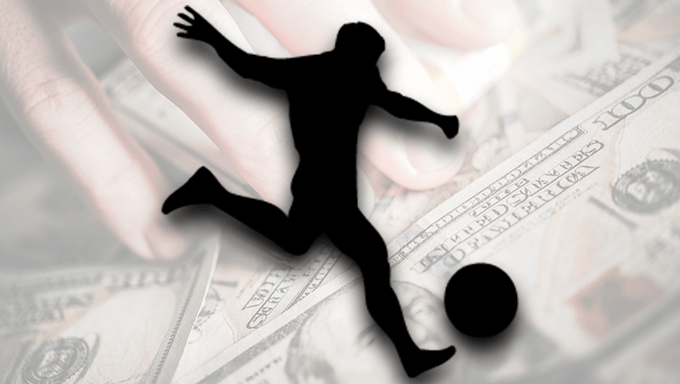 A betting market concerning the frontman’s next permanent club was priced up. The bookmaker’s favourite option was for Lewandowski to remain in Germany, which he eventually did by jumping ship to Bundesliga rivals Bayern Munich. This 'next permanent club' market can be a good option if you feel that a star player will eventually outgrow his current club, but aren't exactly sure when he will make his move - this market lets you bet on the next team he will play for, rather than on him moving in a particular window. If you want to take a punt on some transfer specials, remember to stay well informed, and time your wagers right. If you keep one step ahead of the pack when it comes to transfer rumours, you could land yourself a substantial profit, so visit Paddy Power Sports today for a range of player and manager markets.